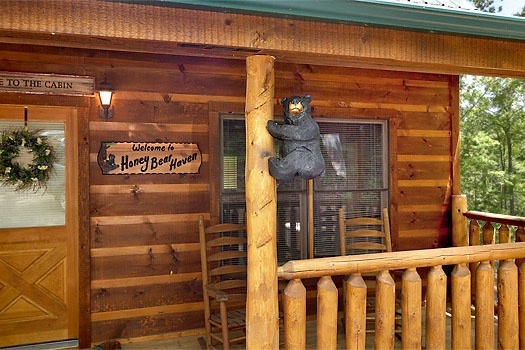 Come to HONEY BEAR HAVEN in The Great Smokies and walk in the foot steps of the black bears that call this place home. But no need to worry, the bears at this cabin are friendly and they love it when company comes over. 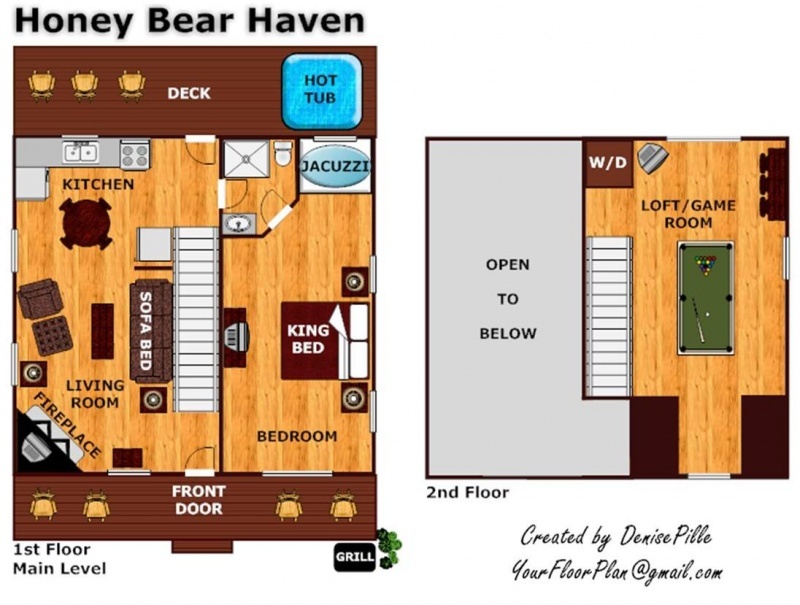 They love to share all the amenities this cabin has to offer like the HOT TUB, FIREPLACE, POOL TABLE, BEAUTIFUL DECK, and and all the peace and quiet a Honey Bear could could want. 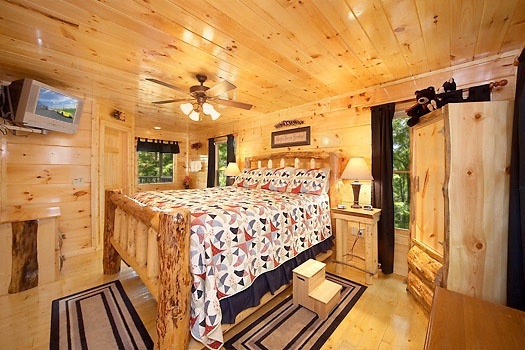 The Master bedroom features a real log pedestal bed and "HONEYMOON JACUZZI" right next to the bed! Located high up on a dead end road, there will be no traffic to disturb your private Getaway! So, come to the mountains, kick off your shoes and relax just like a big old bear. 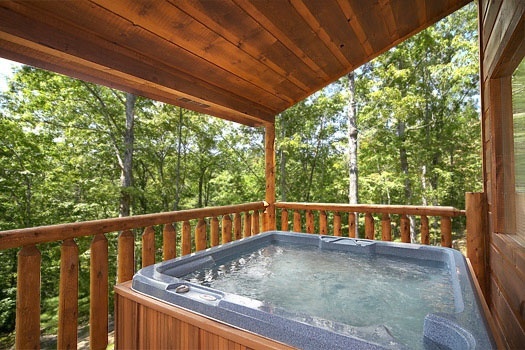 Book this beautiful HAVEN for your next vacation and show your HONEY a BEAR of a good time in the Smokies! We had a very nice stay at the cabin. It was not near long enough but hope to come back in july for a longer stay. Everything was amazing! The cabin the view from the back deck hot tub was incredible. We arrived a bit early and didnt know what to do sincecheck in was not till 4 but i called and talked to someone in the office and they let us check in at 12. everyone i came into contact with was nothing but wonderful. 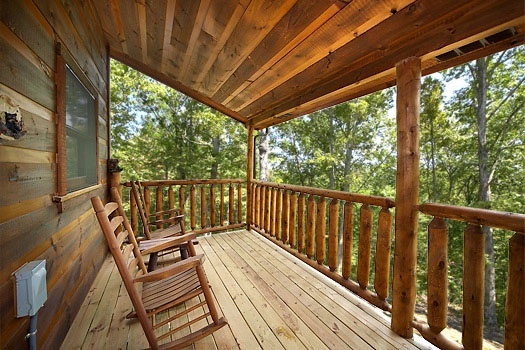 I highly recomend this company and if you want a quiet get away for 2 Honey Bear Haven isthe perfect cabin to stay in. Thank you patriot getaways for making our stay so great. see you in july. Nice place to retreat to and the staff was excellent in coming up and blowing off the leaves in the driveway before rain came in and made it slick. Great Company. Cabin was very clean and very nice! The cabin was lovely. The trip up to the cabin was adventurous. We did see a large bear one morning in the side of one of the roads leading down from the cabin. Exciting! The bed was comfortable. 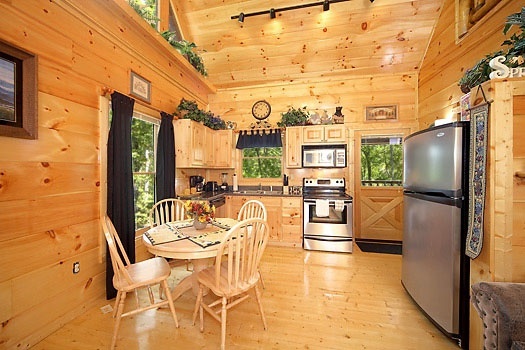 The cabin was perfect for a nice couple getaway. 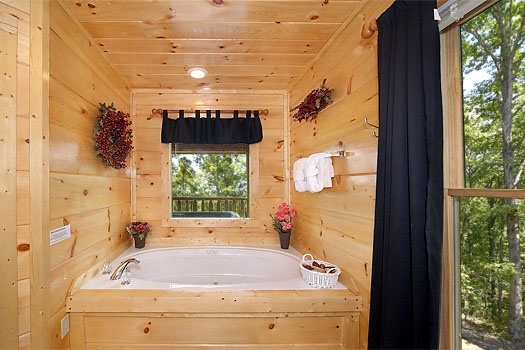 Great location between Pigeon Forge and Gatinburg. We absolutely enjoyed this cabin it was beautiful and so great! We will defiantly be coming back and staying in this cabin again! The Honey Bear Haven Cabin was amazing. It was clean and easily felt like home. Kitche was more equipped than I anticipated, meaning you don't really need for anything. I will defiantly return to this property again!! 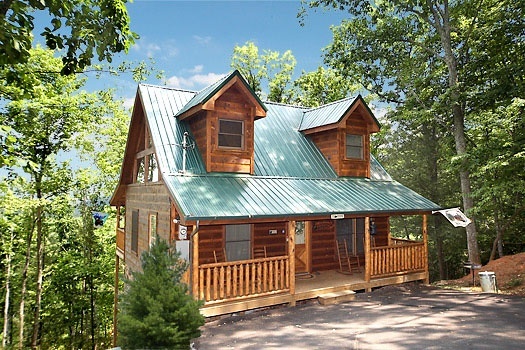 I will definitely recommend this cabinand the company to my family and friend. 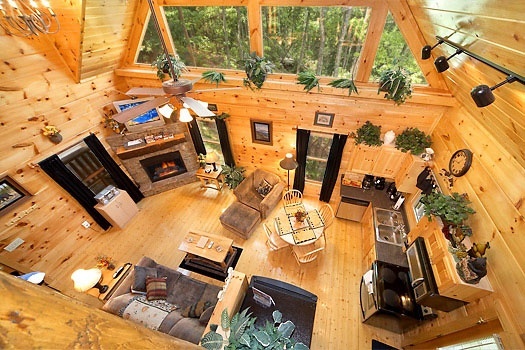 Wonderful cabin and property! My boyfriend and I stayed here in March for a little getaway. Cabin was a lot spacier than we thought it would be, had everything we needed and was perfect for a couple's stay. Loved the pool table and hot tub. There were other cabins around but still felt like we were the only ones there! Would definitely stay here again! We loved the cabin! Only thing I could possibly think of that could use improvement were the knives were exceptionally dull lol. We ended up cutting up our potatoes with the steak knives! We had a blast and can't wait to visit again! Great place to vacation and all of my family enjoyed every minute of the stay. I worked with Theresa to find a cabin and she was amazing!!! We enjoyed our stay and would come back again! Our stay was amazing and we can't wait to go back! Patriot Getaways made our getaway so easy and relaxing! We loved the cabin and had a great time. We have been visiting this area at least annually for 20+ years and we have used your company 99% of the time. We have "strayed" a couple of times and used other companies but we have always regretted it. Honey Bear Haven was absolutely gorgeous. We had a truly magical time. From sitting in front of the fireplace, the beautiful view, the hot tub, and that super comfortable bed, our honeymoon could not have been more perfect. The weather was still pretty good, so we were able to sit out on the back porch a lot. 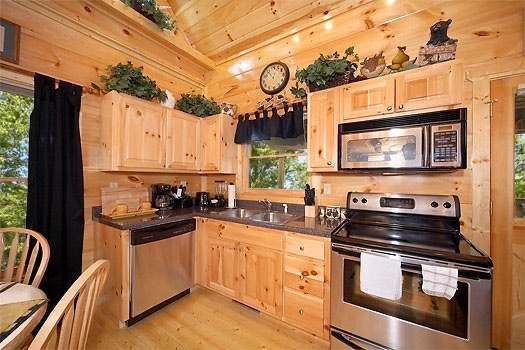 The cabin was spotless and well decorated. We enjoyed playing pool upstairs and just having the week all to ourselves. The shopping and other attractions being so close in Pigeon Forge and Gatlinburg was also a big plus. Gatlinburg was our favorite. We will definitely be returning for many anniversaries to come!!! It was in a nice quiet spot and it had everything the website said it did! It was beautiful and the bed was super comfy! Thanks for a great weekend getaway!! We love it. It was so relaxing. 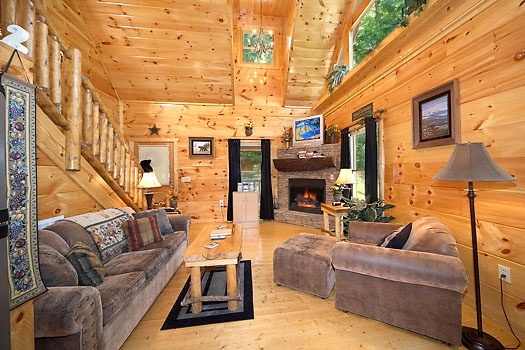 Cozy and quiet, semi-secluded cabin in Gatinburg! The tree top view was peaceful, and the location was perfect for our hiking and fishing excursions. 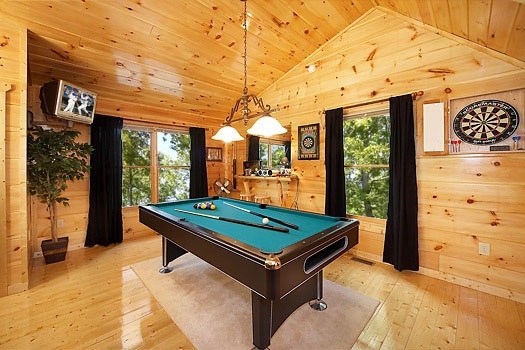 It was equipped with a nice pool table, and an extremely comfortable king bed. However, the sleeper sofawas quite the opposite, and could use replacing. We suggest bringing extra blankets and pillows if you have more than two guests. Thank you to APG for your excellent customer service and a great value!